Not suitable for PKU Diets. 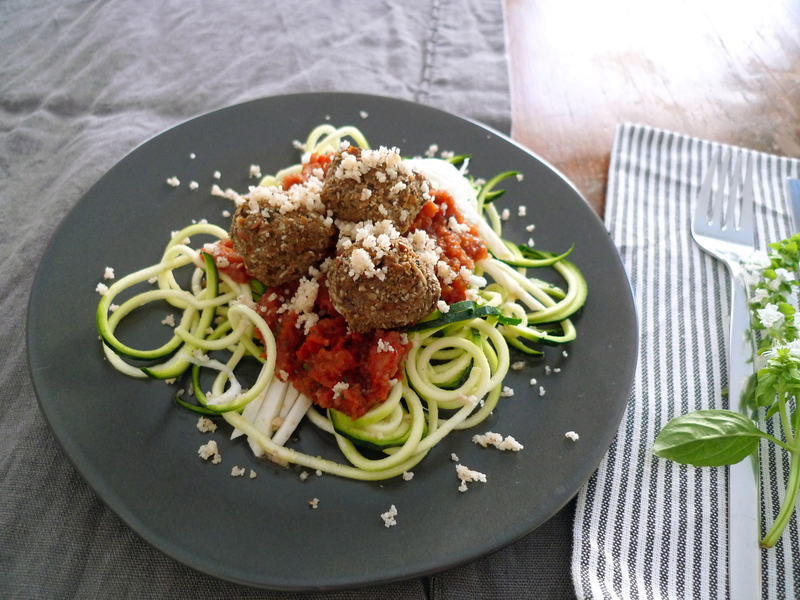 As with the No-Protein Veggie Ball recipe, this recipe has been adapted from the Spaghetti and Veggie Ball recipe from the amazing Wholehearted Eats website. 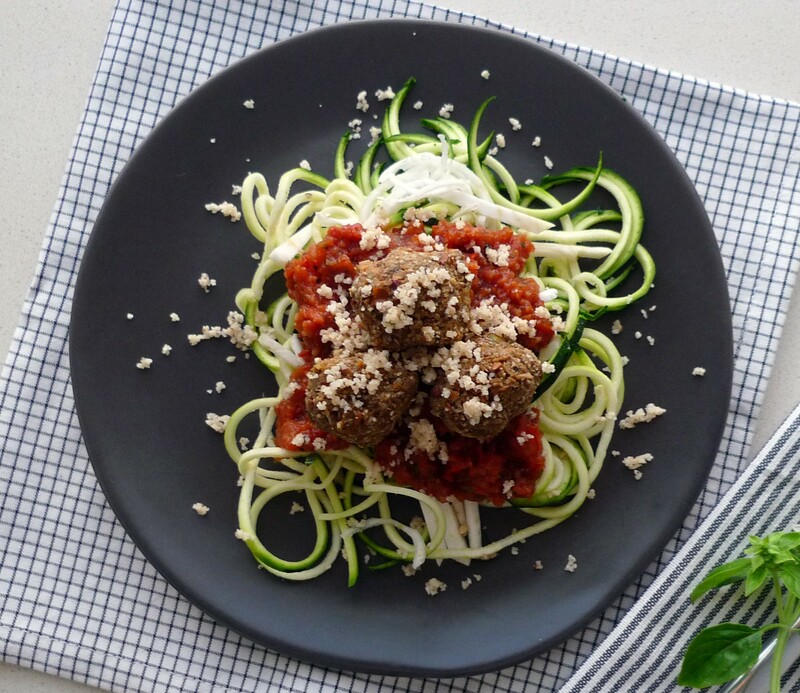 The No-Protein Veggie Ball recipe uses Loprofin flour as it’s bread crumb base, which is not suitable for those NOT on a PKU diet because we require the complete protein including phenylalanine. If you are looking for a veggie ball option WITH protein, than it is possible to replace the Loprofin flour for gluten-free flour; however, I find this may be a bit tricky as the final results look the same and could potentially cause confusion and problems with accurately counting protein. When we made this recipe for the family, we made two different veggie balls: the no-protein and this recipe. They look different enough so there we would have no confusion here; yet they are similar enough that the family meal would not be upset with completely separate meals. A bit more work, but with the amount of left overs we had at the end, it was worth it. It was also much easier to divide the left overs into separate containers making it very convenient and less confusing. The original Wholehearted Eats recipe uses sunflower seeds as it’s base rather than bread. Personally, I prefer this as I try not to eat bread or simple carbohydrates at dinner. As a snack, they are totally guilt-free and I don’t feel heavy after eating them. 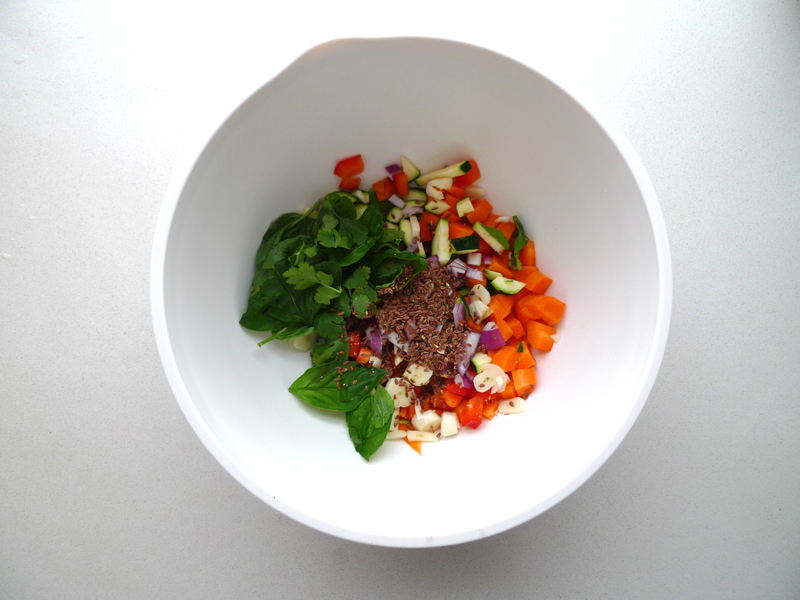 We used the veggie balls as a type of ‘falafel’ in my Amaranth Wraps; perfect for lunches. Begin by soaking the sunflower seeds for at least 8 hours or overnight. Before using them drain and rinse well under fresh water. Combine the soaked sunflower seeds in a food processor or high-speed blender with the rest of the ingredients and puree until the mixture is fine, but the veggies should still be chunky. Taste and adjust with salt and pepper if needed. If you don’t like it too hot, then forgo the chili. With damp hands, form the dough into balls approximately the size of a Tbsp. If the dough begins to stick to your hands at anytime, just rinse them under water and start again. Dehydrate at 40 C (105 F) for around 12 hours, or until the balls have a crisp exterior, but are still soft in the middle. Alternatively, you can dry them with the oven set to it’s lowest setting and the oven door slightly ajar. This will take far less time, but they will technically be “cooked”. Serve with Spaghetti, Sun-dried Tomato Sauce, Parmesan and a drizzle of olive oil. Extra veggie balls should be stored in the refrigerator. 1. Puree in a blender until the nuts are finely ground, but not yet a paste. Store leftovers in an airtight container. – ‘Parmesan Cheese’ (Nuts) should not be used on a PKU diet. – Another option is to include the raisins as part of the veggie balls and not the sauce. If you do this, add the raisins into the protein count.